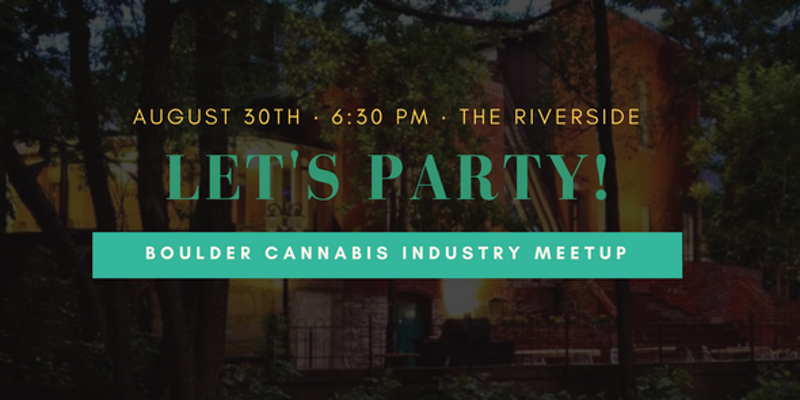 3rd Year Party for the Boulder Cannabis Industry Meetup! What a special meetup we have this month! Three years ago, I founded the Boulder Cannabis Industry meetup with hopes of education, community and development in the Cannabis Industry. You all have helped exceed these goals and contributed to making this meetup far more successful and promising than I could have done without you. So this event is to thank all our past presenters, attendees, and celebrate the bright future of many more meetups together! This month we're having a birthday party and celebrating!! We will recognize the past presenters from the last three years with their information and any updates on their companies since we heard them speak. This will be a great opportunity to connect with any presenter you missed and wanted to meet, and for past presenters to show off their latest developments! I'll be updating you all on what is new and coming up in the future of the Boulder Cannabis Industry Meetup and having a grand time celebrating three years of education and development in the Colorado Cannabis Industry! Come out, have fun, and celebrate many more years to come of community education in Cannabis! !